My first experience with airplanes and airports was when my grandmother flew from Minneapolis to Newark in July of 1961 on a Northwest DC-7C. My brother, father, and I met her at the airport, and I fell in love with airplanes and flying. In those days EWR had a great observation deck, and you could watch the flight activity at the airport (the main runways were right in front of you) and you were above and very close to the airplanes at the gates. 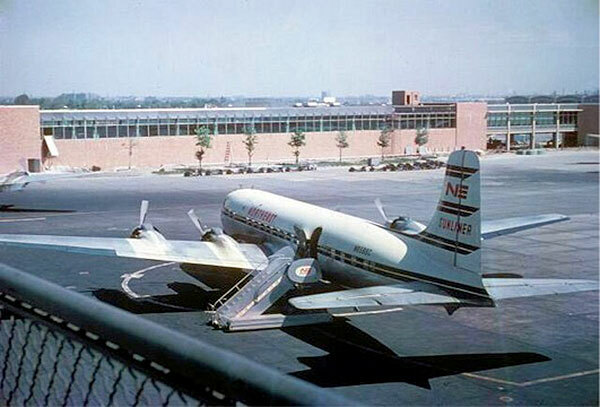 Her return was on a United Viscount to Willow Run airport in Ypsilanti, a Detroit suburb, to visit my father’s uncle. The flight was scheduled about 11 PM but you could still get a good view the boarding and take off from the observation deck. My first set of flights was on May 5, 1962. With two friends (my frequent flying companions and high school friends, both named Jim) we flew from LGA to PHL on a Northeast DC-6B. It was a clear day and LaGuardia was under a major construction program (isn’t it always), but the flight down to Philadelphia was great. We flew at 5,000 feet (I know because I asked the Stewardess as they were called then). The plane was mostly empty so we could move around. My first seat was a window on the left near the engines. Later we moved to the “lounge”, actually 8 revenue seats in front of the engines where we could look back and see the propellers head-on. I remember looking down and seeing the cars and houses, and thinking they looked just like the miniature ones from my model train set. We landed in Philadelphia (I don’t recall a lot about that airport, but it did have an observation deck where we could easily photograph both airplanes we flew on that day) and we waited a few hours to return, this time to EWR. 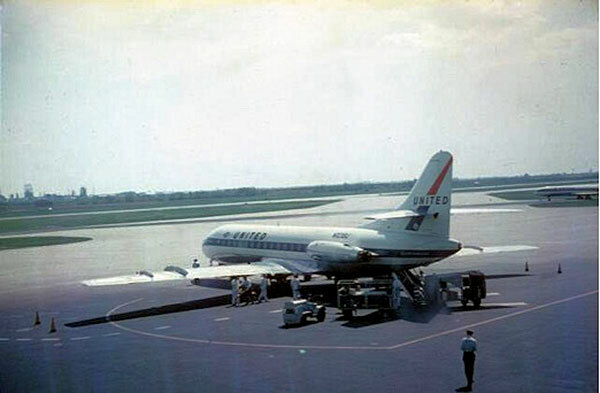 It was a shift in gears, because we were returning on a United Caravelle, a very different flight experience. I remember the take-off was a very steep climb—either because my only other point of reference was a -6B, or because we were in a light, almost empty aircraft. Due to clear air turbulence, it was a roller coaster ride, but I loved it. Another early flight experience was exciting but interrupted. We booked a TWA L-749 Constellation from Newark to Harrisburg; with one stop in Allentown (we liked the idea of an en-route stop). The flight was early and there was a breakfast meal served, and I remember that it came with a small box of 4 cigarettes on the tray. When we landed at Allentown, the Trans World agent told us that because of a mechanical problem, the aircraft would over-fly Harrisburg. They would get us there, but in a cab. The cab ride (I think there were enough passengers for two cabs) took a couple of hours, but we got there in time for our next flight. That return flight was a United Viscount. It was a wonderful airplane, quiet, fast to take off, very comfortable. Again a light load allowed us to move around the cabin. 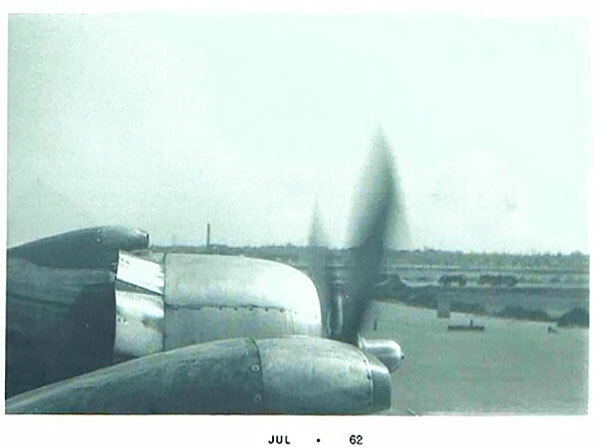 I remember looking at the engines which were constant speed, and there was a mark on the prop and the hub indicating the pitch of the propeller. We could watch the propeller pitch change so we could get the thrust for takeoff power and latter resume with a pitch to close to neutral for cruise. Although not exactly the itinerary we planned, we enjoyed the day and the flights. 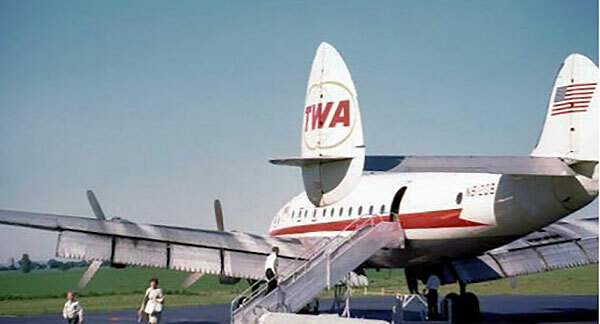 And considering we were paying less than $10 a person for the flight, I am sure TWA lost money when they had to pay for the cab fare. 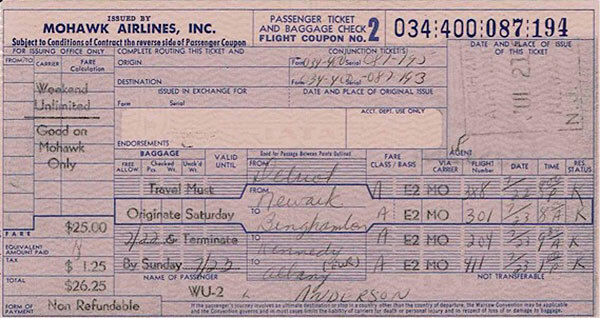 Back when the CAB regulated airlines and their fares, there were often excursion fares (most often on weekends) that were very inexpensive. In the days of my youth (when working part time for $1.25 an hour), that was essential to my ability to fly. 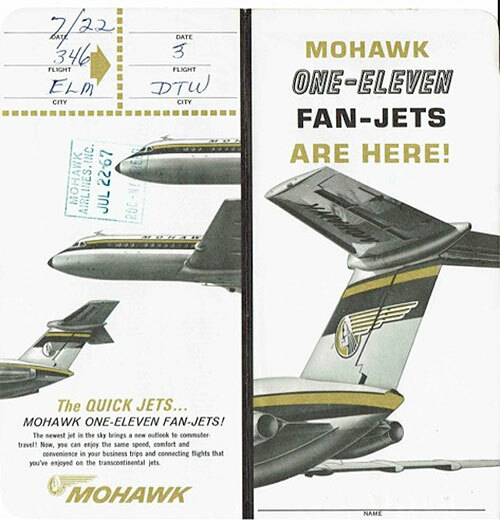 One of the best excursion fares was Mohawk Airlines Weekends Unlimited. Fly all you want on a Saturday and Sunday for $25.00. And we did. All three of us started out early from Newark then flew from Newark to Ithaca, then Rochester, then Elmira, then Detroit. All on Fairchild FH-227 prop jets. And some flights having one or more intermediate stops. Plan was that we would have dinner at the airport in Detroit, then my two companions were going to stay the night in Detroit and I would fly back to Newark. We would all meet in Albany the next day to fly back to Newark on a BAC-111. As could be expected there were flight delays. We were clocked-in almost 2 ½ hours late arriving at Detroit, which cut out any idea of a dinner at the airport. I found I was not at risk for missing my return to Newark flight since the inbound aircraft on which I was flying did the turnaround for the Newark flight. We got off the plane, I said “see you tomorrow” to my traveling companions and I re-boarded the aircraft to return to Newark. The kind stewardess (whose name I should know but don’t) saw I was returning and she told me there was no food on the plane, but she had a sandwich (which she said was bread and butter) which she would gladly split with me. I thanked her profusely, but passed on it. I am sure I had a candy bar or two in my pocket, and could survive the 3 stop flight back to Newark. When I arrived, my parents greeted me with a strange look in their eyes and asked where my friends were. I said, calmly, in a hotel in Detroit. This was the weekend of July 22-23, 1967. My parents told me that Detroit was in flames and that riots had broken out “all over town”. Since I was not staying I did not know which hotel Jim and Jim were in so we could not call to see if they were OK. I could only wait for Sunday. Sunday, I flew directly to Albany where I did meet up with my traveling companions. They had stayed in a hotel at the airport, and watched the riots on TV most of the night. We were all happy to fly home to Newark on that BAC-111. Over the years I have had my share of travel mishaps, many flight delays and rerouting, but because these happened early in my flying “passenger career” (as well as my being a teenager) they are memorable.